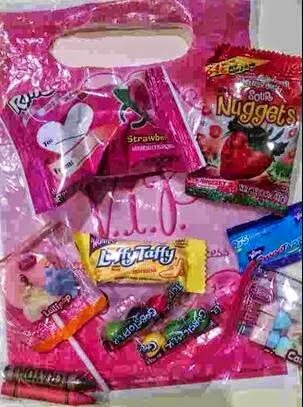 There are plenty of parents who will join me in my unhappy feelings about the gift bags that kids are given at their friends’ birthday parties. Of course we’re happy to share the joy of a family celebrating their child and the accomplishment of getting a year older. And it isn’t that I am ungrateful for all the effort that the parents have gone to in order to have the party to begin with–I am. I have done it enough to know what a pain it really is…but I have to speak up about the gift bags full of party favors that the kids get to take home with them from your typical party. JUNK is the word that comes to mind. Junk food and junk toys. Frustratingly useless stuff that should never even be manufactured is thrown into fancy paper or plastic bags and given out to the kids. Lets talk about the junk food first. I realize that many parents don’t give a thought about the ingredients in the cakes they buy at the grocery store, but wherever it came from, unless specified otherwise, you can be sure it is full of sugar (and worrisome chemicals–I won’t even get into the dyes used in some icings.). It’s a cake, it should have sugar, right? Well that’s true, but stores go way overboard, especially with the icings–it is really an unhealthy amount for an average sized piece. And usually that cake is eaten at the end of the party. So first the kids eat some sugary cake and then they are handed a bag full of candy with more sugar. Aside from the behavior aspects of so much sugar, I just want to request that parents stop diabeating (to use a word from Urban Dictionary) our kids. Diabetes is at an all time high, and it is so sad to see obese children–in many cases, it could have easily been prevented with healthier diets and exercise. What is given out at parties just goes to make giving out harmful foods normal, when it could just as easily go the other way. With a little bit of creativity (and perhaps a homemade cake made from scratch) children’s exposure to sugar and chemicals in the name of a happy birthday could be greatly reduced. BTW, if you actually stop and think about the taste of some of these cakes that everyone seems to think are so delicious, they really just taste like chemicals. Try it yourself the next time you get a chance to taste a grocery store cake. It’s not good. 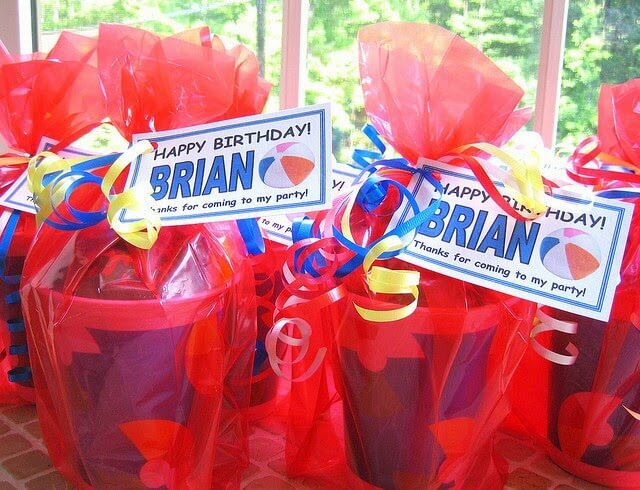 All kids look forward to and even expect to get party favors. But can’t we change the tradition to omit the sweets? My kids know that they can have something from that bag on the way home, but if I have anything to do with it, they never see the rest of the candy again…straight into the trash when they’re not looking. Happily I can report that many times they don’t even want to try those candies. So what a waste of money and effort for the gift bag giver, right? It definitely doesn’t help that my kids usually are not happy with the limitations placed on their newly acquired desserts…making me the bad guy. Lollipops, Swedish Fish, candy rings…nothing but sugar and chemicals…they weren’t necessary to begin with. Lets find better things to include in those bags! Ok, so I hate to make a complaint without providing some ideas for solving the problem. First, I think it is useful to point out that the parents probably wind up spending at least 3 or 4 dollars per gift bag. That money could surely be spent in better ways–maybe on just one useful thing that goes with the theme of the party. For example for a pool party, you might give away goggles, diving toys or maybe those pool noodles. Maybe for a dinosaur themed party you could give away a book about dinosaurs or dino action figures. For some parties, the gifts might be something from the party itself–for instance if you have a craft party, the craft the kids create would be the thing they take home or maybe they get a pack of sculpting clay. How about a paint-it-yourself birdhouse? Maybe even include some bird seed. Another dea is to give away plants or crafts (or both) — for instance tree in a box – This option was very popular at my child’s 7th birthday party. You can even get Giant Sequoia seeds. Another idea is to go to Ikea and purchase live bamboo plants and if you want to get fancy but some of the 75 cent vases to go with them. Kids are surprised and really enjoy taking care of them and they’re really difficult to kill. This year we purchased a cactus plant for each kid who came to the party. They loved it! If it’s in the budget, you could hire a caricature artist for the party. The party favor could be a caricature of each of the guests. This is truly fun for the kids, and in the best circumstances will be keepsake that the child will treasure. 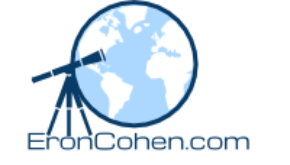 10-pack of scjence safety goggles-These are a no-brainer for science parties…but wouldn’t be a bad addition to any gift bag. Bamboo Plants – Every kid loves plants. Bamboo is cool to look at and difficult to kill…making this a fantastic party favor. Goggles – Swim parties or any Summer parties would benefit from this parties. 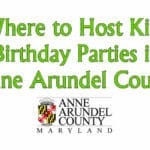 For other ideas, see my list of birthday party places in Howard, Baltimore County, and Anne Arundel County. I suggest party favors that go well with the party venue. We’ve also recently been to a dolphin themed birthday where the hosts gave each child a hula hoop with an inflatable dolphin hanging in the middle. At “Five Below” you can get a hula hoop for about $2. There are lots of other clever ideas. For example, we recently went to a pool party where the hosts gave pineapples to each guest. 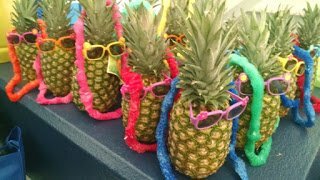 The pineapples were decorated with sunglasses and Hawaiian Leis. This fantastic because aside from the novelty it gives kids a reminder that fruits can be fun and interesting. Aside from things like that, I would recommend that parents try to stay away from giving any food at all in the party favor bags if you can. This website has some homemade favor ideas. 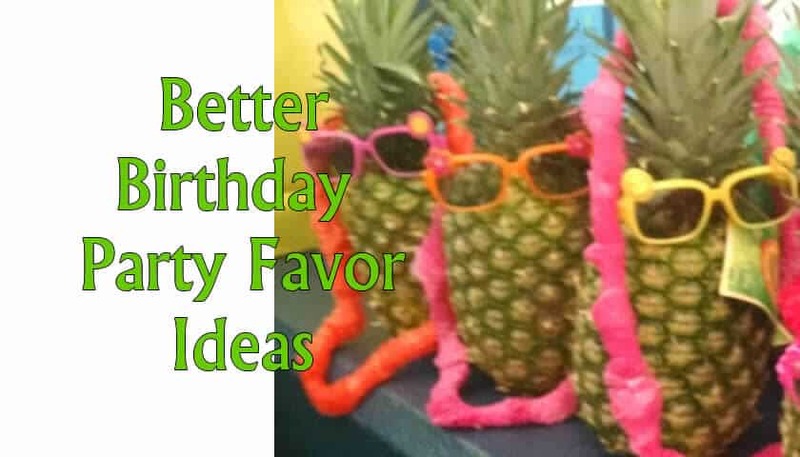 Here are some ideas for places to have a birthday party. 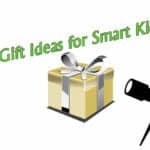 And if you’re looking for great gift ideas for brainy kids, I’ve got that too! You may also want to check out my Costco Review as well as my review of Lifetime Fitness. Thanks for mentioning The Fire Museum of Maryland as a great location for kids’ birthday parties. We host parties every weekend and at other times by special request. Families get private use of a party room, plus kids get to play in our interactive Discovery Room. We have a great gift shop with fire-themed party supplies and gifts. I always recommend fire hats for parents to give out as party favors. Very inexpensive and no sugar added! Email: rentals@firemuseummd.org for more birthday information.